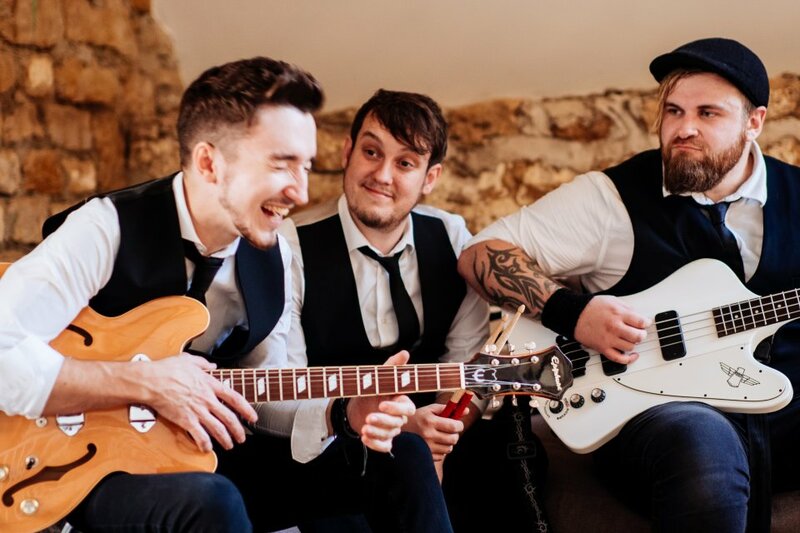 Well, the short answer would be we’re a 3-piece rock and pop party band from Dorset… BUT, we like to think we’re much more than that! We’re Ross, Allan and Lee; 3 best mates who genuinely love what we do and have had the pleasure of doing it for over a decade now. We pour everything we can into this band and guarantee a show to remember! What inspired you to start The Generations? 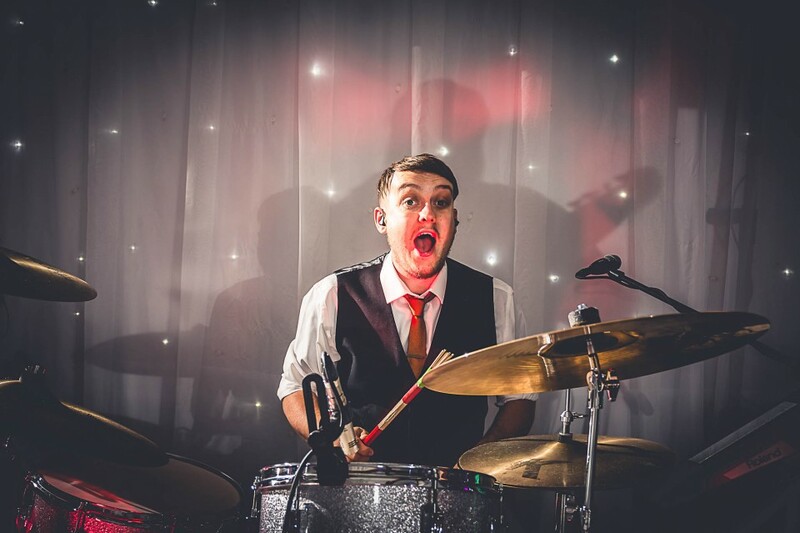 Playing live music for a living has always been ‘the dream’ for us, and nothing quite compares to the buzz we get seeing brides, grooms and guests dancing their butts off on the dance floor and having the time of their lives! We spend our working lives in the company of people planning and celebrating the happiest day of their lives… and that’s pretty good company to keep if you ask us! The plethora of buffets we get to sample along the way should also get a special mention here. Bravo people, bravo. What sets The Generations apart from other bands? Put simply, we do. Us three guys, the friendship we have and music we’ve shared for so long. We’re friends first. If we weren’t playing music, we’d be hanging out and making each other laugh. Throw 10+ years of playing music and touring together on top of that and you form a bond that you can’t fake. 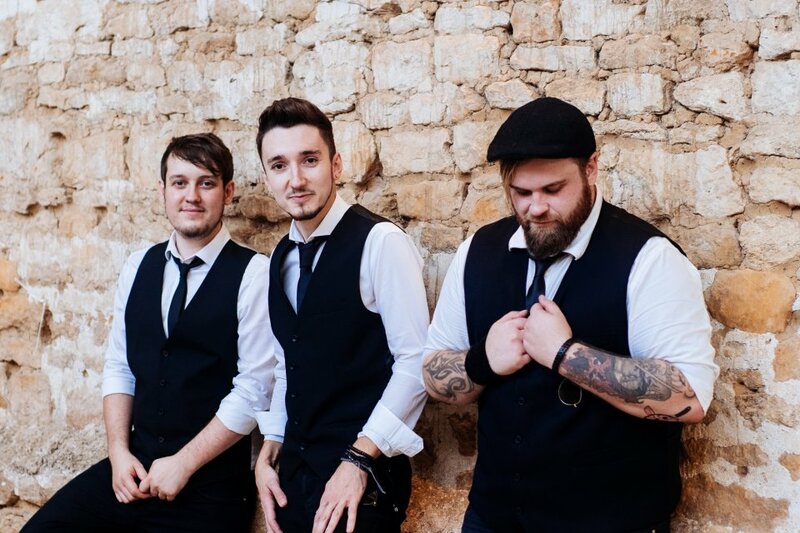 It’s an increasingly rare thing these days, as more and more bands are being thrown together last minute and the average musician might ‘dep’ for any number of different bands. All the great rock n roll bands over the years have had that tight unit at the centre and we think the music is usually better for it. It’s the reason we’ll never see a gig as ‘just another job’ and we always give our performance 110%. ROSS: Oh man, if you asked on any given day I’m sure the answer would be different! ALLAN: How about the time a client called me to discuss the details of their wedding… on my own wedding day! The car was outside waiting to pick me up, I was running late, watching a YouTube video on how to tie a Windsor knot and double checking my speech when the phone rang! I couldn’t let a client go to answerphone, but luckily the chap found the funny side and was more than happy for me to call back. LEE: Yeah that was funny… But what about the time YOU got your geography wrong and quoted a client for a gig which you mistakingly thought was 5 minutes down the road, only for me to discover a week or two before the gig that there was in fact an almost identically named village 10 minutes from LAND’S END, where the gig was in fact being held!!! Just one of the many reason’s why we’re glad to have the fine folks at Warble handling our bookings these days! Actually, one we have coming up at our next wedding. 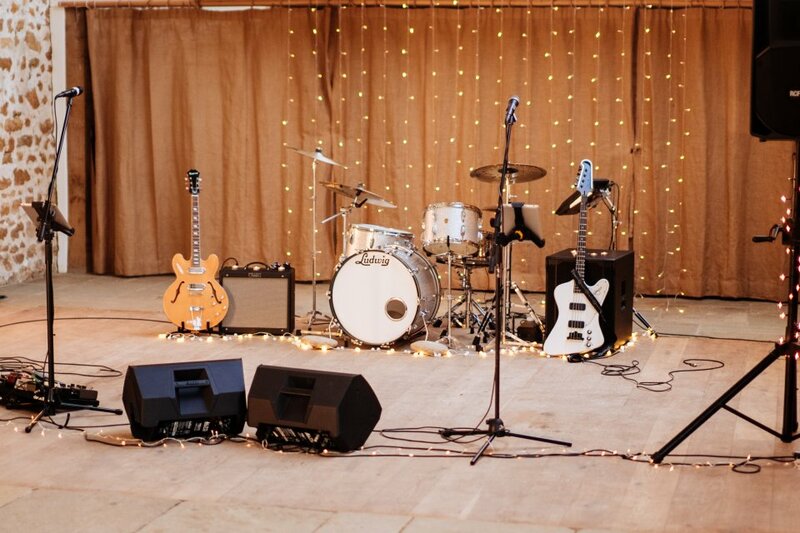 We’ve been asked to perform a really fast, thrashy punk song… as a first dance! It’s actually been really fun getting our teeth into it and we’re feeling confident the couple are going to love it! It would probably be a supergroup featuring all our heroes. We’ll say Freddie Mercury and Bowie as joint frontmen, Angus Young (AC/DC) and Billy Gibbons (ZZ Top) on dual guitars, Geddy Lee (Rush) on bass and the powerhouse himself, Mr John Bonham (Led Zeppelin) on drums! Having said that, we’d never be able to play as we’d be too busy having our MINDS BLOWN!!! Let’s play it safe and say… Right Said Fred? Firstly, rest assured you’re in safe hands – we appreciate how stressful the lead up to your big day can be, and we feel our job is to make sure we don’t add to that stress! 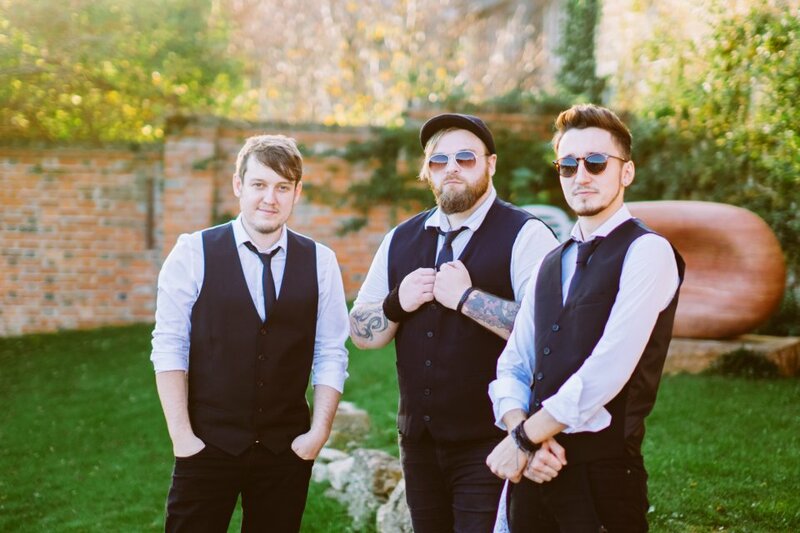 Discuss anything and everything you need to, either with us or one of the guys at Warble in plenty of time before the event, saving any last minute panic. Secondly, and we appreciate this might be easier said than done, but try not to overthink things… at least where the music’s concerned. 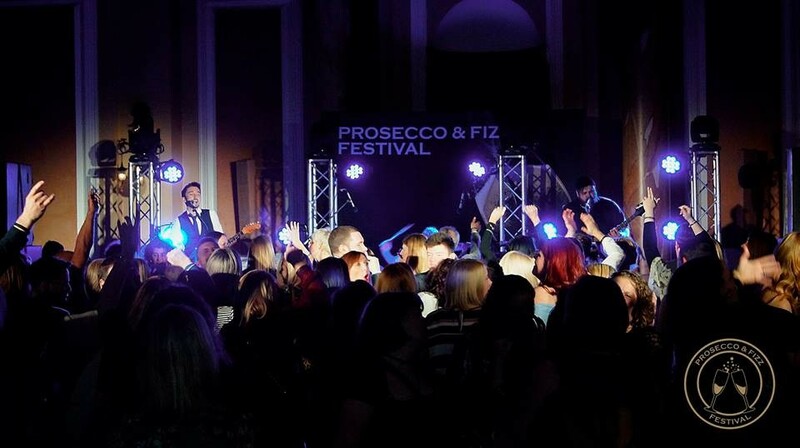 We always ask for client input and can tweak our performances and DJ sets to your taste, but if you’ve seen our promo material, viewed the info on our profile and generally like what we’re offering then trust in us to do the rest. 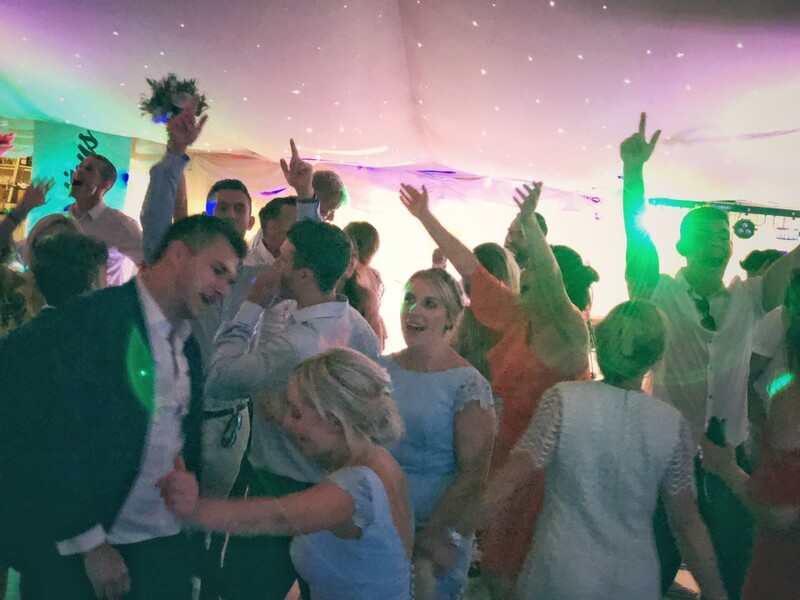 This is what we do, week in, week out… experience has taught us what generally works and what generally doesn’t and ultimately we want the same as you – for the night to be a HUGE success! LEE: Ah man, our jokes are best saved for the van where no one can hear them. ROSS: My wife’s leaving me because of my obsession with The Monkees. I thought she was joking, but then I saw her face… Get it? THEN I SAW HER FACE… Like the song. Guys? ROSS: Tends to change from month to month, but right now I love the crowd reaction to Coolio’s ‘Gangsters Paradise’! There’s a lot of lyrics in that song, but I’ve known them all for years and it seems most of our audiences do too. ALLAN: Mr Brightside for me. Never fails to deliver. LEE: Yeah, tends to change a lot. Obviously I love the guitar-heavy stuff, Guns n Roses and all that classic stuff… but there’s something magic about getting the entire room bouncing to dancy tracks like Avicii’s ‘Wake Me Up’. I guess maybe because people aren’t expecting it from a band like us, too. Who would be the first to die in a zombie apocalypse? The zombies. We’d melt their infected minds with our rock powers. 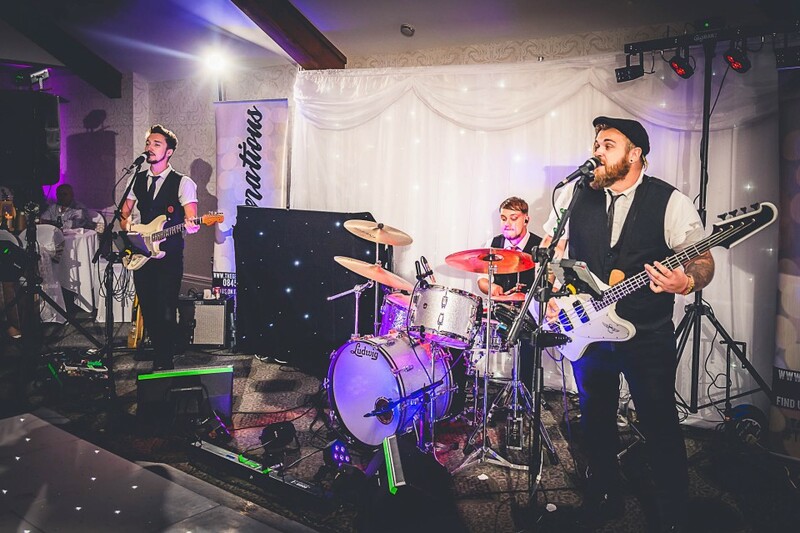 We offer live first dance performances, acoustic sets and a fully equipped DJ set! This isn’t just music on an iPod either – we’ve got literally tens of thousands of songs on archive, covering all the classic eras and genres, so we guarantee an awesome playlist and can also take requests on the night! 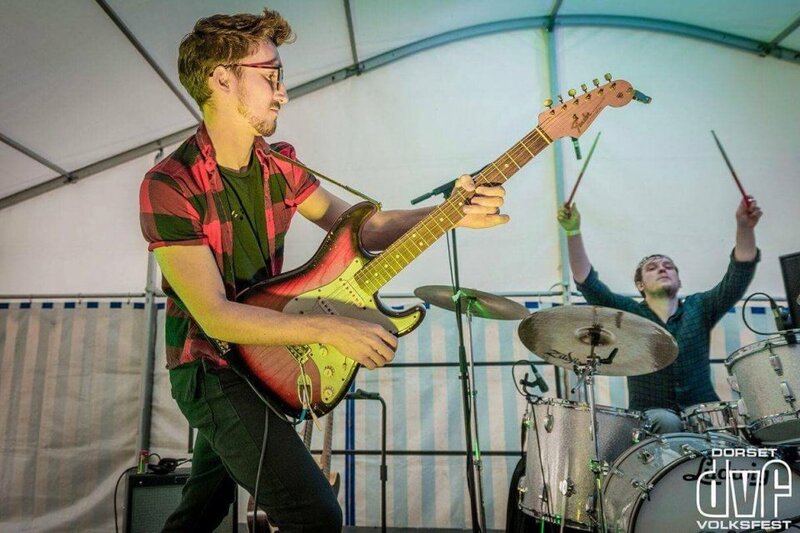 Find us on facebook at www.facebook.com/thegenerationspartyband and Instagram at www.instagram.com/thegenerationsbanduk We’re pretty active on social media and like to share as much of what we do with anyone that wants to follow! Thanks to Warble for all their hard work and support, and to clients past and future for being AWESOME.